Just over two months ago, smartglasses startup North opened the doors at its two brick-and-mortar retail locations in Toronto and New York and began accepting orders for Focals. On Thursday, the company announced that those initial customers can get ready to pick up their wearables, as the first shipments have now arrived in stores. Additionally, customers in North America who don't live in the two aforementioned cities will soon be able to get fitted for a pair of Focals in their own backyard. Currently, the devices require custom sizing to ensure proper alignment of the smartglasses for each customer, hence the requirement to physically order a pair in person. Now, in order to expand its reach, North will begin opening pop-up stores in major North American cities starting in April. Exact locations and times will be revealed at a later date. "Last year we approached the smartglasses category with an entirely new concept: smartglasses that look awesome. It's been incredible to see how this approach has resonated with our customers, and I've personally loved watching everyone share their experiences at our Showrooms," said Stephen Lake, CEO and co-founder of North, in a statement. 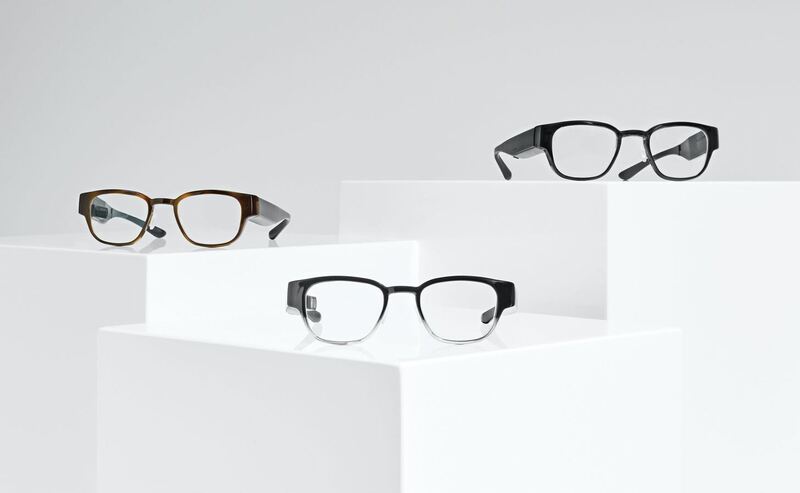 "Today is a big day for us as we put the first Focals in the hands of customers. I can't wait to bring that experience to even more people through our new mobile pop-ups." North's Focals, which are priced at $999, can claim the flag as the first company out of the gate with augmented reality smartglasses in the wild that appeal to mainstream consumers in terms of delivering a fashionable look. However, the Focals augmented reality experience is more limited in utility than higher-end devices in that the glasses mostly serve as a heads-up display for weather, navigation, messaging, rideshare hailing, and interaction with voice-activated digital assistant Alexa. Similarly, the Vuzix Blade, which resembles a bulkier pair of Oakley sunglasses compared to Focals' Warby Parker-ish stylings, mirrors North's heads-up display approach, but also offers a camera for capturing images and video (and potentially some ARCore-enabled AR content) at the same price point. Alternatively, in terms of smaller AR wearables, the Nreal Light was recently demonstrated at CES 2019, boasting augmented reality capabilities approaching those offered by Magic Leap One, but packed into more fashionable frames (though not yet available to order). Which mix of form, function, and price will hit the sweet spot with smartglasses consumers? That remains to be seen. But North is making a strong case that, at least in the near term, fashionable form may trump advanced AR functions in the realm of mainstream consumers.